Depending on where you come from, a trip to Malta can feel like traveling back in time. Due to its diverse history, the Maltese archipelago showcases influences from various periods in time. Many small towns and cities maintained their original charm. On top of that they are also surrounded by a picturesque scenery. Gain new experiences at the wonderful beaches and breathtaking landscapes. You should definitely visit Malta's "Blue Grotto", which is famous for its turquoise waters. You can also experience summer-like temperatures all the way up to September. When you visit Malta for the first time its not uncommon to feel as though you have been there before. This may sound mysterious, but there is a reason for why your surroundings might feel eerily familiar. Malta is the set of countless modern movies that many of us have seen and there is a high chance that you will recognize many locations due to their appearance in world famous features, movies and series. The well known fantasy series "Game of Thrones" is just one of many. Malta is currently home to three UNESCO world heritage sites. The old town center of Valletta is one of these sites. The European Union has also nominated Valletta to be the Cultural Capital of Europe in 2018! The Maltese republic consists of multiple islands. Malta is the longest one of these islands, with a lenght of 27 kilometers. The island state is made up of the three inhabited islands of Malta, Gozo and Comino as well as the unihabited islands of Cominotto, Filfla, St. Paul's Island and Fungus Rock. 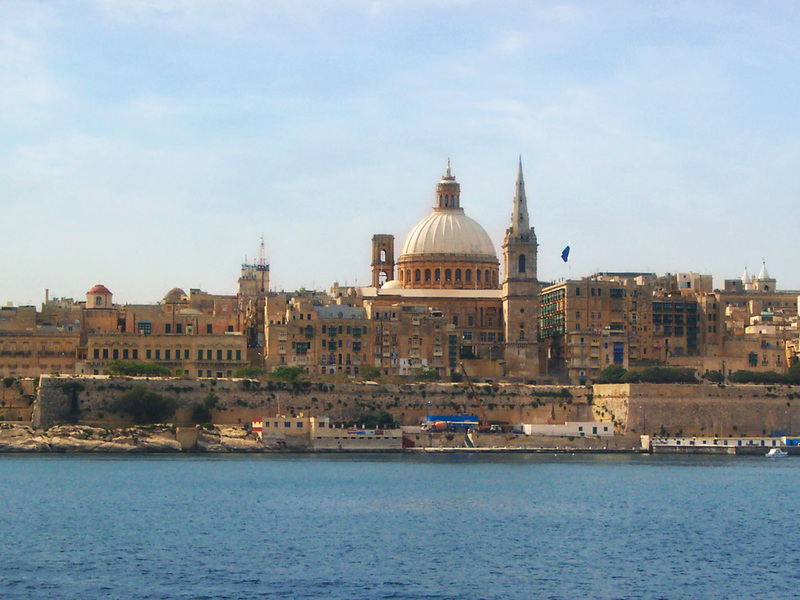 The capital city of Malta, Valletta, is located on the island of Malta. Malta officially counts as one of the world's microstates as it covers an area of 316 square kilometers in total. Malta is a part of the Middle European time zone 'MET'. 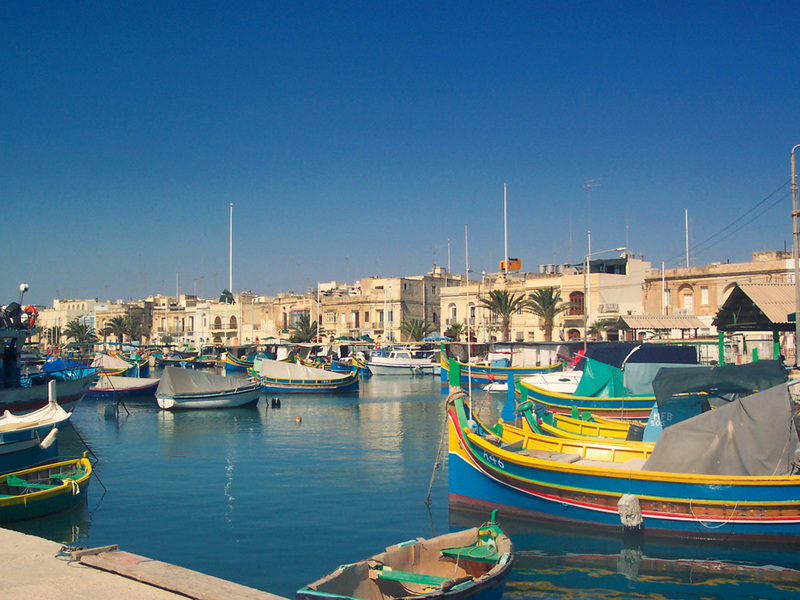 The average yearly temperature in Malta is around 18.7 degrees Celsius. This is because temperatures are evenly distributed across the entire year. Summer can however become very hot and temperatures above 30 degrees Celsius are to be expected throughout the summer period. Sun worshipers will love this time of year and water sports are of course also in season! You will therefore want to pack light clothing and swimwear! Temperatures rarely sink in the evenings either, but it is recommendable to take a light jacket or jumper with you. 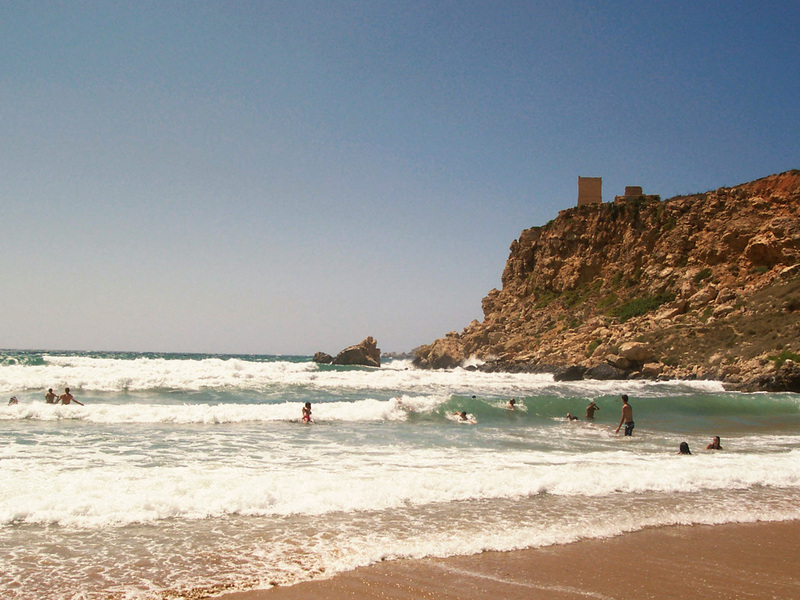 There can however be short and heavy rain showers in any season as it is located right next to the Mediterranean sea. More noticeable temperature changes can occur during Spring and Fall, but it will always stay relatively warm as long as the sun is shining. At the break of dawn the breeze from the ocean can lower the temperatures quite noticeably. If you enjoy swimming in the ocean, you will usually still be able to do so up until the end of November, because it will still be warm and sunny enough at the Mediterranean sea. European citizens do not need a VISA in order to enter Malta as it is a member of the EU itself. 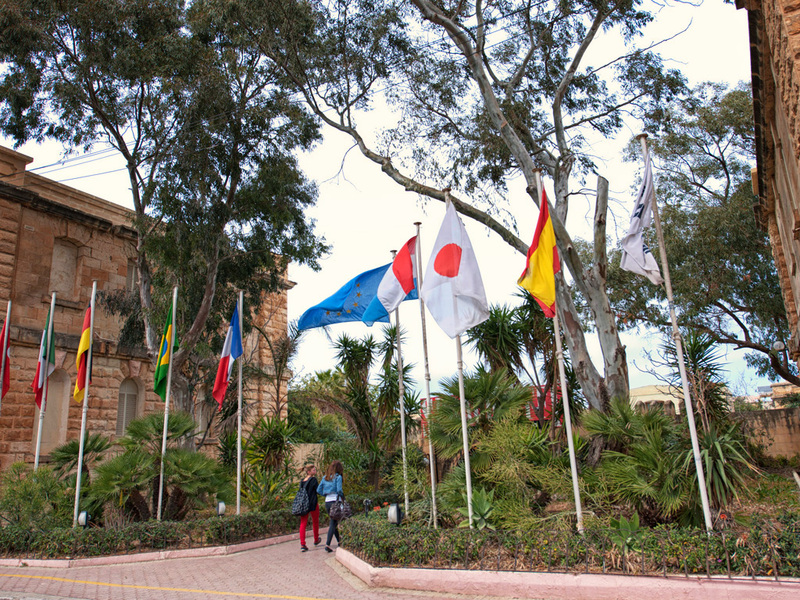 Non-EU-citizens need to apply for a VISA at their local Maltese embassy. Please also visit the Maltese embassy to discuss any requirements you might need to fulfill, if you are planning on staying in Malta for longer than 90 days. Make sure to take your passport or personal ID with you when you visit the embassy and when you begin your travels. Please note that your ID and Passport must be valid for until at least half a year onward from the date of your return from Malta. Minors under the age of 16 need to have a children's ID that contains an up to date picture of them or alternatively have an entry of their own within their parents' passport. Travel and safety information can be found on the appropriate ministry of foreign affairs or federal foreign office. Malta has been a member of the Schengen Agreement since 2007, which is why border controls are inactive at Malta's international airport. This is why travelers who have a Schengen VISA do not need another Maltese VISA in order to be allowed into the country. The currency 'Maltese Lira' was replaced by the Euro in 2008. The Maltese Euro also depicts typical Maltese images on the backside of the coins and notes. One example of said images is the altar of the megalithic temple, which can be seen on the back of the copper colored cent coins. The golden cent coins hold the Maltese coat of arms on them. Both the 1 and 2 Euro coins' backs hold the Saint George's Cross on them. There are no Maltese laws about needing to get certain shots or vaccines before entering the country. In case you need to get a hospital's or a doctors' treatment whilst in Malta, you may want to consider getting a travel health insurance that covers you for the entire duration of your journey and is also applicable abroad. You can apply for this with your health insurance company. Alternatively you can also apply for a European Health Insurance Card (EHIC). The tap water in Malta is not suitable for drinking. Due to the fact that there is little to no groundwater in Malta, water that does exist is usually desalted and could also be partially chlorinated water from the ocean. Tap water is however safe to use for brushing one's teeth and cooking. It is not uncommon for people to experience circulatory issues due to the fact that their body is not used to the high temperatures. Your Malta travel guide recommends: Always keep drinking water with you and drink a lot! The sun's rays can also have a very great impact on your skin in this location and it is therefor not an option not to bring a high functioning sunscreen. Should you spend long periods of time outdoors it is highly advisable to wear a hat or another form of sun protection on your head. Please also make note of the medical care advice contained on the website of the ministry of foreign affairs. We have compiled a checklist of all things you may need on your journey, so that you can be completely prepared for your upcoming travels! The majority of the population of Malta is Christian, with 88.6% being Roman Catholics. You can not miss the countless Christian influences that can be seen all over the island. The small republic contains more than 365 Churches. 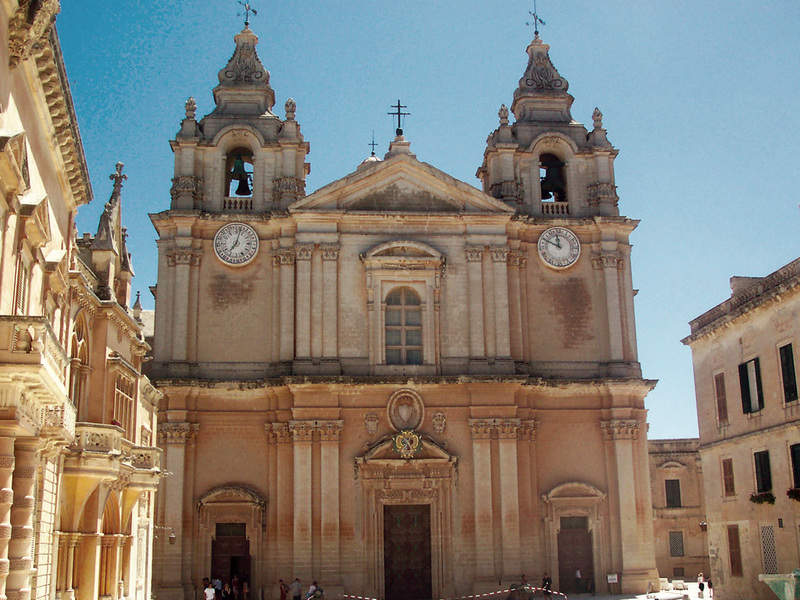 The Catholic Church is part of the Diocese of Malta and Gozo. The remaining percentage of the population consists of Protestants (Some of which are members of the Baptist Church), Orthodox Christians, Jews and Muslims. Marie-Louise Coleiro Preca, one of the members of the social democratic party "Partit Laburista", has been the president of the republic of Malta since April 2014. The republic's House of Representatives is formed by 65 members of congress. The Maltese government is elected for a legislative period of 5 years. The island republic of Malta joined the European Union in 2004 and has thereby become the EU's smallest member state. The Maltese language also reflects the republic's exciting and complex history. The primary official language of the island state is Maltese. Maltese is one of the Semitic languages, which originated from medieval Arabic and developed into the language we know today. Even though the Maltese language was originally created with heavy influences from the Arabic language, it has also incorporated elements of the Italian, French and English languages over time. The secondary languages of Malta are now English and Italian. The use of Italian language elements is however receding in recent times. Up until 1934, Italian was the official language used in court as well as the preferred language used in Educational institutions and in most pieces of writing. Almost all citizens of Malta are fluent in English due to British kolonialization in the 19th until the 20th century. The easiest and most simple way to travel in Malta is by Bus. There are bus connections all across the island and even though the buses are quite old, the connections are cheap to take. There are also two bus stops near our Sprachcaffe school in St. Julian's. You can find an information stand that displays all details about the bus routes and connections at the bus station of City Gate in Valletta or at Saint Paul's Bay at the Terminus. 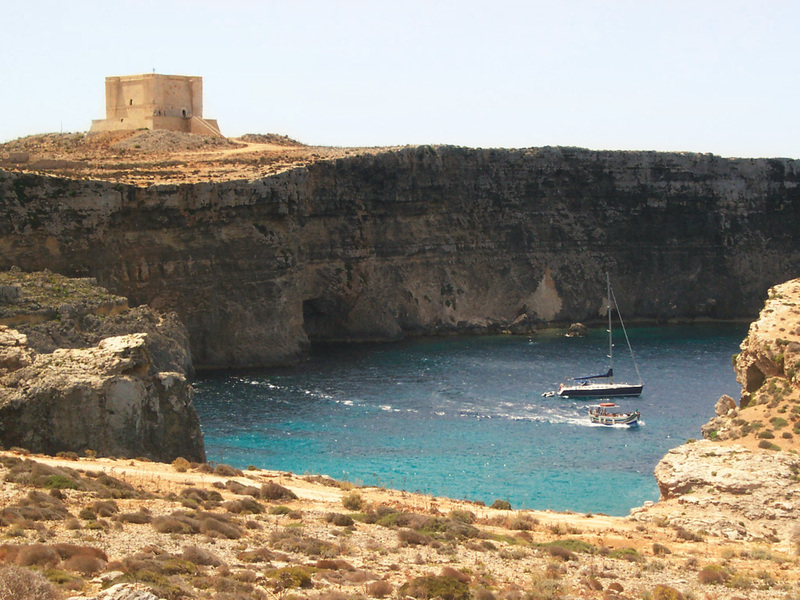 You will also be able to take ferries that travel to and from Malta and its neighboring island Gozo. The price for traveling from main island of Malta to Gozo is roughly 4 Euros. Whilst large ferries sail between these two destinations, you also have the choice of traveling there with captains and their smaller boats. There are three different types of Taxis in Malta: white ones, black ones and red ones. The white ones are there for picking you up from the side of the road when you call their attention upon yourself. The black ones on the other hand need to be called and ordered in advance before you can get into them. The red ones are there to transport up to 8 people and usually only drive at night. Malta has experienced countless diverse mixtures of cultures, which have influenced it in the past and still do today. The first humans reached the island at around 5200 BC. Since that time, nearly all powers of the Mediterranean have tried to gain ownership of the this island. Many different battle forces fought over who will control the land. The last one of these battles occurred during the Second World War, in which Malta was the base of the allied powers. It was therefore targeted by Germany and Italy during the war. The Maltese culture has been influenced by large Mediterranean empires from very early on in its history. Some of these empires were the Kathargers, the Romans, the Byzantine empire and the Arabic empire. The group of islands belonged to these empires during the antique and medieval times. The inhabitants of the islands were also influenced by the Roman Catholic beliefs and superstitions that originate in the south of Italy. Their language is however more strongly linked to Arabic. Malta only created its first independent government in 1530, which was led by the Sovereign Order of Malta. This changed in 1814 however, when Malta became a British colony. The period in which the island was colonized by Britain has left its a clear mark on Malta. To this day, the island's official language is English and you can even find the typical red phone booths all around as well. The Maltese flag was also influenced by Britain. Malta acted as Britain's "Unsinkable Aircraft Carrier" during the Second World War. The British King rewarded Malta in 1942, by awarding them the St. George's Cross for their contribution and support in the war. This emblem can be found on the Maltese flag and still holds its historic place to this day. On the 21st of September 1964, Malta finally gained its full independence. Carnival: (February) The Maltese carnival takes place in February and is a sight to behold. It has been one of Malta's traditions for more than 450 years and is one of the island's biggest festivals. The week of the island's Carnival is traditionally held on the last week of February. International Fireworks Festival:(April-May) There are plenty of fireworks and even a local competition with international pyrotechnicians. Their performances are spectacular and you will not want to miss them. Malta Jazz Festival: (July) World famous Jazz musicians have been gathering at this amazing festival venue on the third weekend of July for more than 25 years. Every person who lives and loves Jazz simply needs to pay this festival a visit! International Arts Festival:(July - August) This local and regional artist festival takes place in the summer, which means that most performances and activities will take place outside. The weather is very likely to be great and the sights are bound to be even better.